United 100cc scooty is certainly the most recent addition by united motorcycles. An era where females are almost found in all areas of life. They certainly don’t want to be left behind in anything. Trying their luck on driving a motorcycle. Scooty for girls by united bikes will certainly solve transport issues for females by great extent. Living in the times where public transport in not reliable. Also, father and brothers are not always available. Females can now easily look for an alternative in the shape of United Scooty 100cc. It is just not a bike but its attractive and sleek. Certainly one will not have to compromise over their style. Making it certainly be desirable both in future and present. United 100cc scooty meets the need for everyone. United scooty have four stroke, single-cylinder engine which is forced air-cooled. 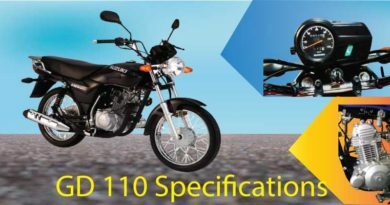 As the name suggests the capacity of engine is 100cc. The design of scooty is perfect for youngsters. It is sleek and attractive. Even the colour range is quite feminine. Available in two exciting colors, pink and maroon. Meeting demand of most female consumers. Dry weight of bike is 91kgs. Making it quite stable on road. Offering easy handling. 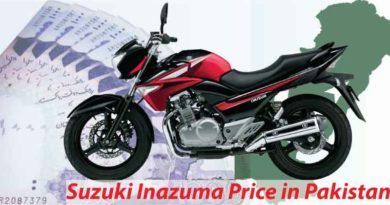 The capability of bike to produce power is quite good as the displacement is 100cc. The scooty clutch type is auto, which adds to be plus point for road comfort. Adding convenience for the rider. Furthermore, bore and stroke of united 100cc is disk. Having petrol capacity of 5.5litres. . Tires in front size is 90/90-12and back tires size is 3.50-10. Dimension of bike is 1870×650×1140 (l x w x h). United scooty is coming from the second best selling company after Honda. The product is exclusively designed to meet the needs of females. United scooty is given tubeless tires helping to avoid sudden air loss resulting in punctures. Therefore, this will certainly help to avoid irrelevant road stress. Scooty also have shiny and glossy alloy rims. Acting as a shield against ware and tear. Also, protection against rust. Other convenience for women in this scooty is that its self start. Making it extremely practical for use. A fuel gauge like most of motorcycles. The scooty also have capacity to store helmet. Storage space is right under seat and can be locked. Seat type is very comfortable. United motorcycles offer 6month warranty on purchase of scooty. The scooty can be purchased from dealers. List of registered city wise dealers is present on united motorcycles websites. Also, if anyone have any queries. They can easily be resolved through writing to company. From corporate inquiry section. 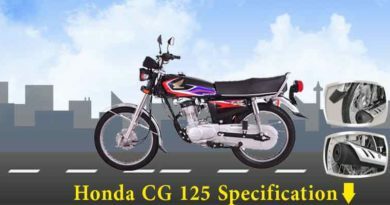 United scooty 100cc 2019 Model Price Pakistan is slight high. Costing around PKR 95000. If females avoid the hesitance and turn to this mode of transport. It is certainly a great choice. Built with grand Chinese technology with modern shape. 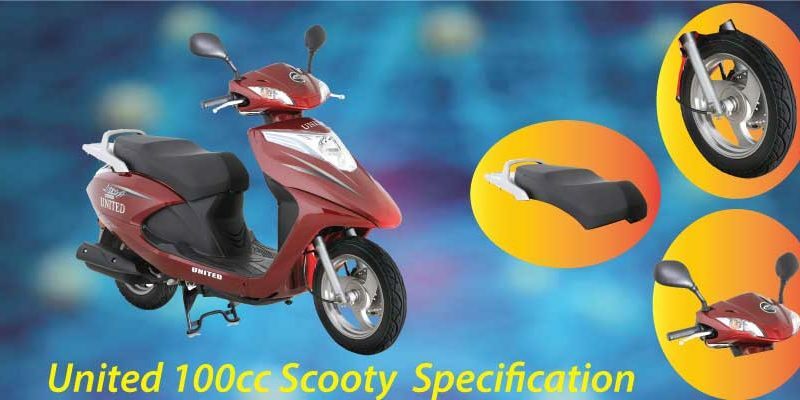 United scooty 100cc is made shock resistant and durable. 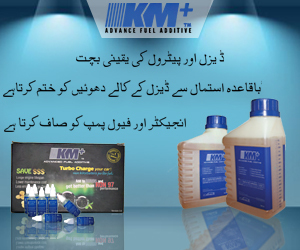 It can easily provide protection against bumpy road and unforeseen small accidents. United scooty 100cc is extremely useful for college going girls or those with many responsibilities.